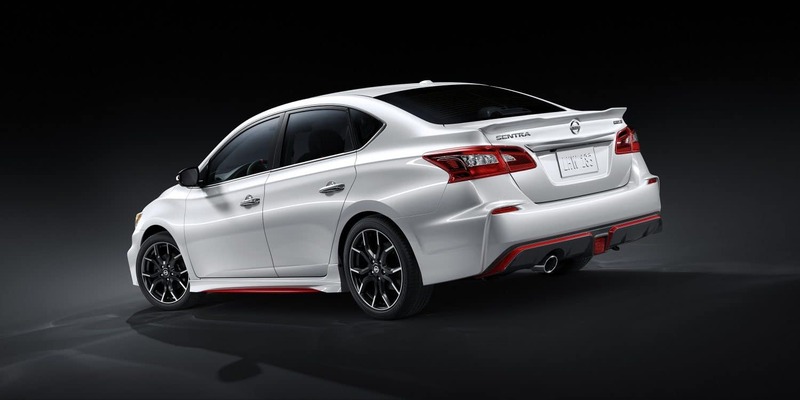 The Nissan Sentra exterior is available in a number of Nissan colors, including: Aspen White, Super Black, Scarlet Ember, Gun Metallic, Brilliant Silver, Deep Blue Pearl, Fresh Powder, and Red Alert. Take your pick between Nissan Sentra colors: Charcoal Cloth, Charcoal Premium Cloth, Charcoal Premium Sport Cloth, Charcoal Leather, and NISMO® Black/Red Cloth. Available in different forms on S, SR, and SR Turbo models, the Midnight Edition™ brings exclusive features like black alloy wheels, black exterior accents, a black rear spoiler and available Black Midnight Edition™ badging. The base model comes with 16-inch steel wheels, while all other trim levels are offered with 16-, 17-, and 18-inch inch alloy wheels. Are you interested in financing the 2018 Nissan Sentra? Then make your way from Tacoma to Advantage Nissan in Bremerton, where you can value your trade-in vehicle and take advantage of a wide range of loan and lease specials.